KAMPALA – The amazing and the top performing ‘Mighty She Cranes’ popular known as Team Uganda has been on Friday evening crowned champions of World Netball University Championship after beating defending champions South Africa and Africa’s number one in the final game (44-43) held in at Makerere University. 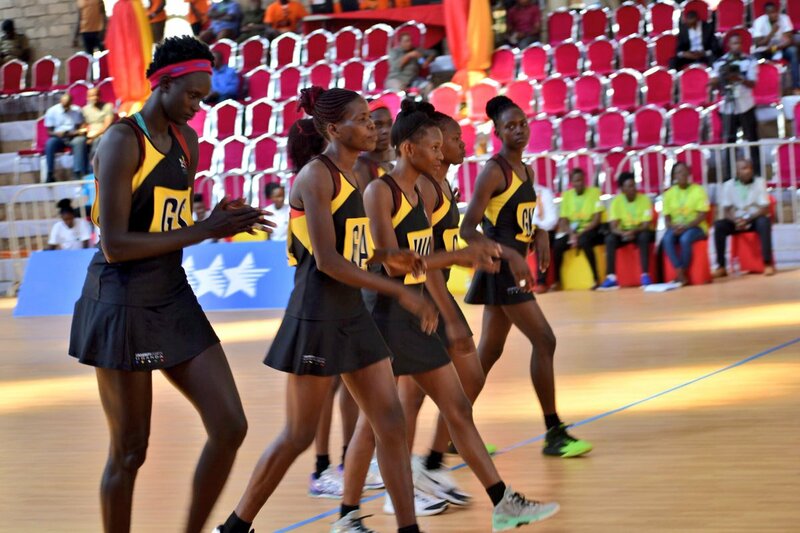 Uganda proved to be superior among others as it remained unbeaten also edging defending champions in a hotly contested final. Mary Nuba, Uganda’s goal sharpshooter shot three late dramatic shots and in process turned The Mighty Cranes the weeklong tournament winners. The three came moments after South Africa had maintained a thin margin lead, giving Team Uganda a chance to win the game. The hosts indeed overturned results to be crowned champions of the third FISU weeklong tournament. The result made it a perfect unbeaten run of 6 consecutive games for the hosts at the tournament played in a newly launched but incomplete indoor stadium at Makerere University. Uganda opened up their victory journey thrashing United States 102-16 on September 17 as defending championship South Africa also edged Sri Lanka to emerge a bigger tournament threat. The Mighty Cranes also beat their neighbours Kenya 105 – 15, 77-19 against third runners-up Singapore and 133 – against Sri Lanka. The hosts then thrashed Zimbabwe on matchday 4 and finally ended the tournament with a hard-fought and a much-celebrated win by Makerere students and others in attendence against defending champions whom they also played on Friday morning in a match where both teams locked horns in 42-42 draw. The might Cranes dramatic win in the final against South Africa (43-42) sent them to the podium.